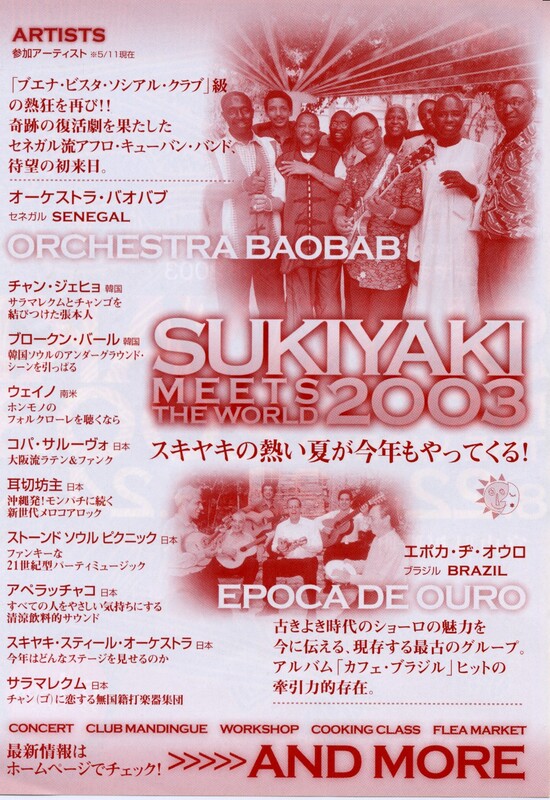 Got a Prize, Got a Grand-Prix "THE 13th SUKIYAKI MEETS THE WORLD 2003"!! 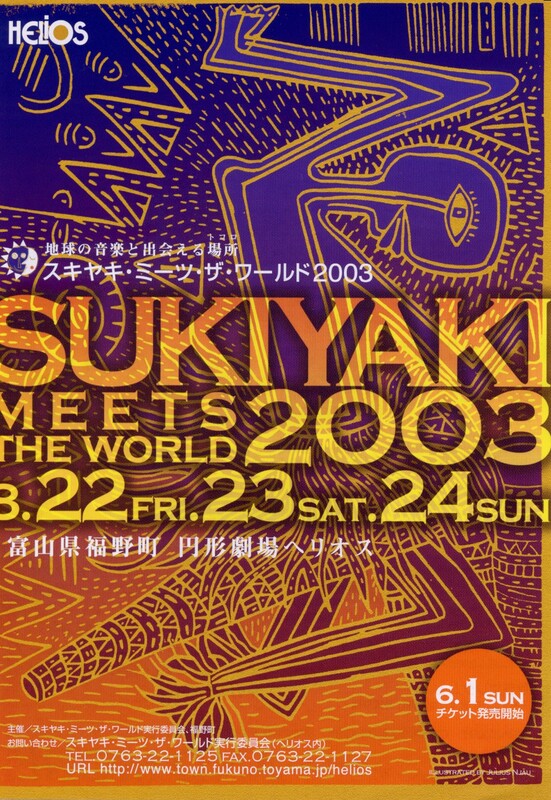 Julius Njau's artwork has accepted as one of the biggest music festival's image Grand-Prix called "SUKIYAKI MEETS THE WORLD 2003". It'll hold on August 22-24. During this festival, everybody feel the worldwide music not only by their body but also by their soul. If you are interested in this, please contact with its office!! We bet you could enjoy!! !